In the early hours of 7th of August 1985 a farmer, Nevill Bamber called his son Jeremy and said his daughter had gone berserk and had one of his guns. Jeremy called the police who told him to meet them at the farm. After PS Bews and Myall, the officers in attendance at the scene with Jeremy, saw something moving in one of the upstairs windows, Bews’s radioed a report. It was as a result of this report the Assistant Chief Constable Simpson gave permission for the Firearms Units to be deployed to the farm. Jeremy had told police, which was noted on the log when he was at the farm with officers, the house contained seven firearms including rifles and shotguns. One of the rifles he’d left on the settle in the scullery, the previous night after an aborted attempt to shoot rabbits. He also told Police that Sheila was struggling with mental health issues and was likely to be highly unstable. Throughout the siege police heard a small dog barking constantly. The open phone line at the house was being monitored by police and who had recorded there was the sound of movement coming from the kitchen. The situation was described as tense by firearms officers when making statements to DCI Dickinson and the 2002 investigation. They stated that they expected to find Miss Caffell alive and armed when they broke in. After the dog ceased barking suddenly, officers decided they should wait no longer and approached the back door to gain entry after passing the kitchen window and seeing the body of what they thought was a woman by the door. When they broke down the door with a sledge hammer they discovered Nevill Bamber dead in the kitchen by the Aga. There appeared to be no trace of the woman seen in the kitchen earlier. On hearing movement upstairs they called to Sheila to make herself known. The officers in the team were wearing open microphones but no recordings from these these have been disclosed. In the 2002 appeal statements by these officers they shifted their stories to exclude calling to Sheila Cafell, and said they operated in silence using hand signals to communicate. Nevertheless, many note that they thought Sheila was alive in the house. In particular on 25.02.02 PC Hall changed his account insisting that they made no noise in the house. “In this incident the use of stealth in our approach was employed so as to create as least noise as possible. This was due to the fact that we believed that Sheila may still have been alive and armed. This approach in the farmhouse was completed by hand signals and whispers.” Curiously, he omits a vital passage from his earlier statement of 1985 where he says “I immediately heard a noise upstairs and began to challenge up the stairs I was covering, I was calling to Sheila Bamber to maker her whereabouts known to me.” I think you would agree, either the raid team were using hand signals and stealth, or they weren’t. It appears that the police would have it both ways, omitting crucial details from statements when it suited their purpose. Perhaps smashing the backdoor in with a sledge hammer and calling up a staircase comes under the guise of “stealth” but that’s not the dictionary definition of it. There were three staircases at the farm and on ascending the different staircases police found they could not get through from one part of the building to the other side and had to return to the ground floor to ascend the next stair case. The fire arms officers being fearful that Sheila was upstairs, and armed, the they used a mirror to look up the main staircase where they eventually saw the body of June Bamber in the door way of the master bedroom. On climbing the main staircase and entering the bedroom they found Sheila Caffell on her father’s side of the bed where she had shot herself. It was a tragic scene and Sheila’s twin boys were found in their beds having been shot whilst they slept. Jeremy Bamber had remained away from the house during the entire time of the siege and sat in a police car. He was distressed and broke down both during the siege and when he was told that he had lost his entire family. All of the family including the Pargeters, Eatons and Caffells were in total disbelief at what had happened. It was hard for them to comprehend, a young mother had killed her family and children, something we frequently hear of on the news nowadays. Jeremys uncle, Robert, and cousin Ann, must have been worried because Jeremy now owned a large stake in a joint family business, and he also unknowingly owned more than half of the land Ann and Peter were farming. He expressed a wish to sell on some of the estate. David, Ann’s brother said he found a sound moderator in a cupboard at the farm three days after police closed the scene. Jeremy’s then girlfriend Julie Mugford was “reported for process” by Essex Police and was charged with burglary at Witham Police Station a month after the killings, she claimed Jeremy had told her he had hired a hit-man to kill the family. Jeremy was arrested but later released without being charged with the murders. Within a few weeks forensic scientists had tested the sound moderator found by some of the relatives, who inherited the Bamber estate, and Jeremy was arrested and charged with murder at the end of September. Jeremy Bamber was found guilty by a 10-2 majority at Chelmsford Crown Court, he was just 25 years old. 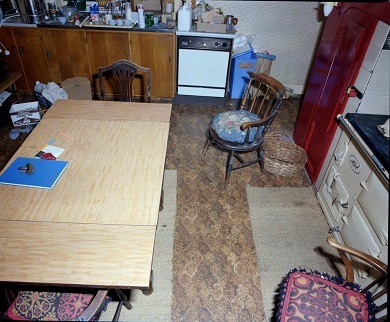 There was no forensic evidence connecting Jeremy Bamber to the crime, Mugford’s story had changed from firstly there being a hit man, then to her suspecting that Jeremy had carried out the killings himself to gain the inheritance, assets of £425,000. The key exhibit was the blood in the moderator, (silencer) which was not able to be grouped, but contained an enzyme which corresponded to Sheila’s blood group. At the last appeal it was shown that there was none of Sheila’s DNA inside the moderator. Jeremy Bamber has had two failed appeals and continues to maintain innocence to this day. He even petitioned to take a lie detector test for many years. When he eventually took the test he passed. Jeremy has no mental illness and shows no trace of psychopathy. The object of this web site is to place into context some of the evidence presented at trial by key prosecution witnesses. All evidence used on this site is drawn directly from case documents (unless otherwise stated) including the statements of those it refers to.